Many pickup owners today wonder: can you pull a 5th-wheel trailer with your half-ton truck? That’s because today’s half-tons are more capable than ever. Most manufacturers now rate their trucks to tow many thousand pounds more than they could just 10 years ago. And trailer builders are now catering to this segment of buyers, marketing their smaller 5th wheel trailers as “half-ton towable.” But is it really feasible? 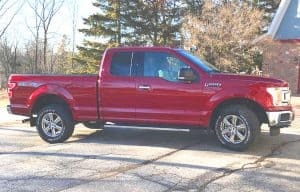 Well, I have researched the specifications for every 2019 half-ton truck available today and compared the results to some of today’s lightest 5th-wheel trailers to find out. To get right to the point, the answer is yes – many modern half-ton trucks are capable of towing 5th wheel trailers. But several factors must be considered, including the maximum tow rating and payload capacity of your specific truck. 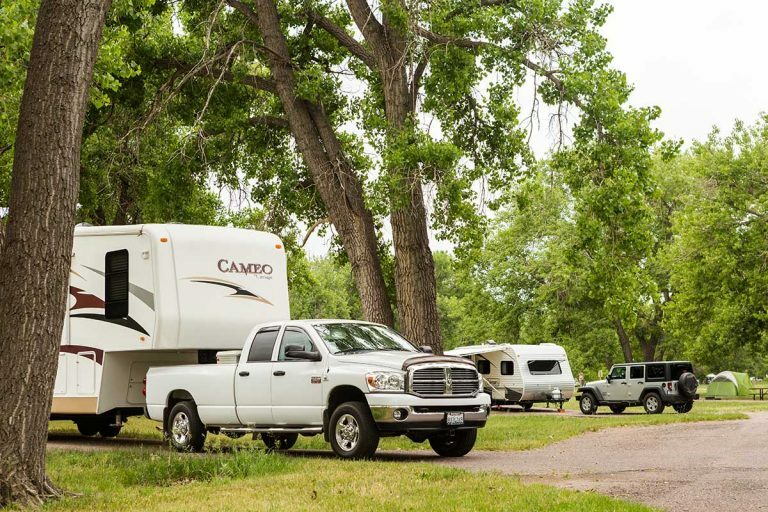 Once you know your weight capacities, compare them to the total weight of the 5th-wheel and its hitch weight sometimes referred to as pin weight. You will have to also add in the weight of all people and items inside your truck and trailer to ensure that your trailer situation will be a safe one for you and your family. That’s a little vague, I know, but trust me, there is a lot that goes into this equation. 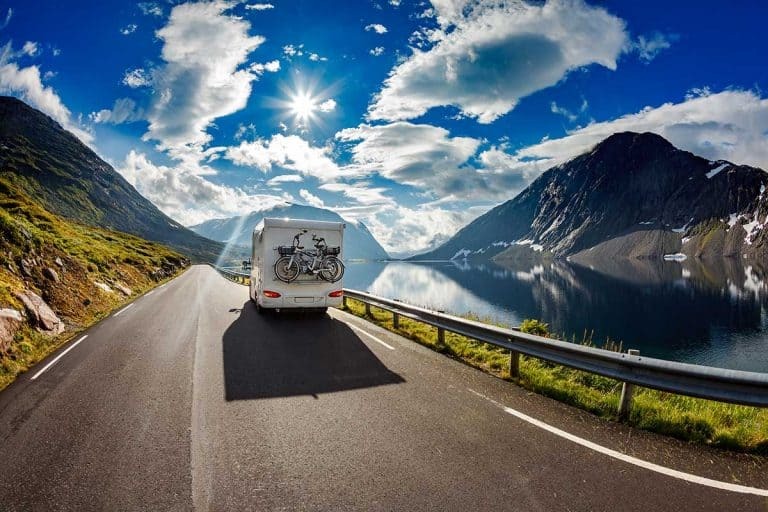 Let’s dive in and see what all you need to consider before deciding what kind of trailer will work for you. Of course, each individual truck comes with its own tow rating, so make sure to check yours (located on a sticker in the door jamb) before purchasing a trailer. 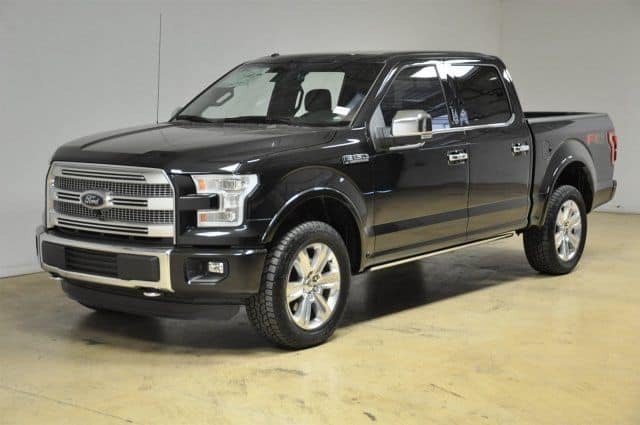 These are simply the highest limits of each model when configured correctly – you could very well be surprised to learn that your truck’s rating is well under the maximum capabilities of the model. Here is just one example to illustrate that point: A 2019 Chevrolet Silverado LT with the 4.3-liter V6 is only rated to tow 7,700 pounds. That’s an astounding 4,500 pounds under the maximum rating for the Silverado. It’s not just Chevy that this happens with, however. Every manufacturer gives different ratings to all of their vehicles, depending on how they are built. Everything from cab configuration, options, and even the thickness of the frame, can influence the tow ratings. Starting on the smaller end, we have Scamp‘s two 5th wheel trailers, simply referred to as the 19′ Standard and the 19′ Deluxe. At their lightest, these 5th wheels can weigh in at under 2,400 lbs. This puts the Scamp waaay below any other 5th wheels out there, so this one is truly an anomaly. In fact, with a hitch weight of just 400 lbs, most medium- or light-duty pickups can easily handle one of these things. Of course, the Scamp is also much smaller inside than any other 5th wheel, so these will only appeal to very specific trailer shoppers. Still, for some truck owners, this could be a dream trailer because nowhere else can you find a 5th wheel that weighs as much as many pop-up tent trailers. Slightly larger than the Scamp is the Escape 5th wheel. At 3,885 lbs, you will be well under the limits of just about any half-ton pickup you look at, no matter how old the truck is. 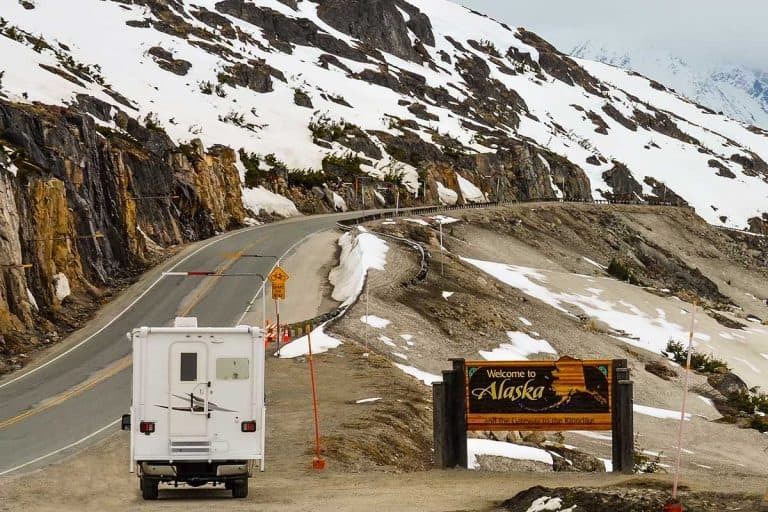 This is really a great, if a little hard to find, option for those wanting the benefits of pulling a 5th wheel combined with the lightweight, gas-saving benefits of a small travel trailer. 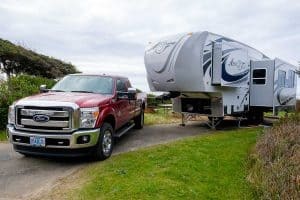 But most 5th wheel owners need more space out of their trailers, so let’s move on from these small fiberglass trailers to something more typical of what you will find on the average RV lot. Jayco’s Eagle HTX 26BHX is the first trailer on our list that resembles what most 5th wheel shoppers have in mind. At 30 feet long and with a large dinette slide-out, this 5th wheel is rated to sleep 8 – 10 people. Watch out, though, because the 1,525-lb hitch weight will be too much for many half-ton trucks. You will likely need to find a “max payload” version to be able to comfortably pull this big 5th wheel. The 7,355-lb dry weight, on the other hand, should be no sweat for many of today’s beefy half-tons. As the name suggests, the Cougar Half-Ton 27RLS is made specifically for use with half-ton trucks. Like the Jayco, this is a large trailer – it is only small by 5th wheel standards. Luckily, the hitch weight of 1,335 lbs is slightly more palatable to most half-ton trucks. 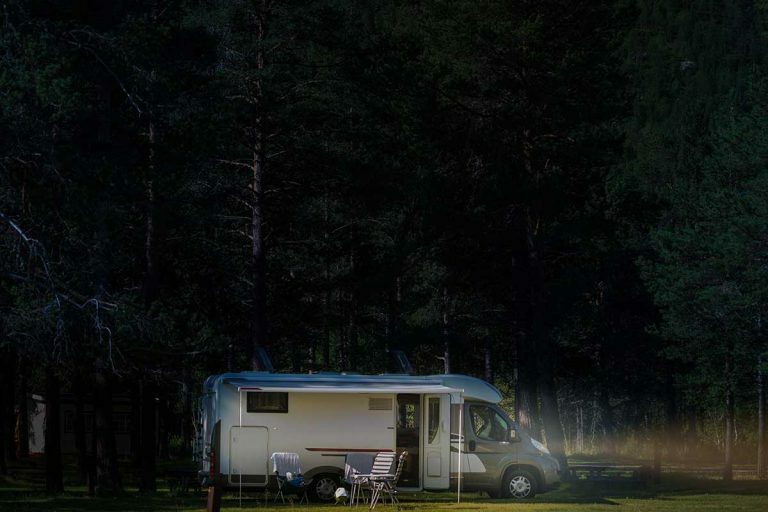 With 3 slideouts, a Queen bed, and sleeper sofa, this is a great trailer for couples and small families who want to spread out when on the road. And the 7,925-lb dry weight should be no problem for any half-ton truck on the upper end of the tow rating scale. Now that we know how heavy some of the smaller 5th wheel trailers are, we need to talk about tow limits. Now, obviously, you do not want to exceed your vehicle’s limits. 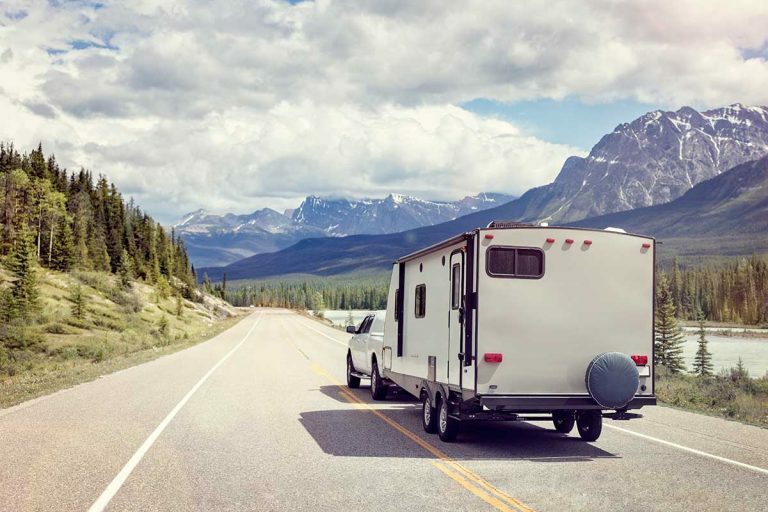 Check out our towing capacity article to see all of the things that can go wrong if you do. When you are calculating your trailer’s total weight, make sure to add in all of your water, cargo, and everything else you added to the trailer. 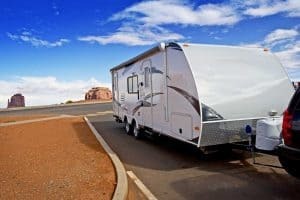 That means that when you are shopping for a trailer, make sure to find one that weighs at least a few hundred pounds below your truck’s limits. Many people even believe that you shouldn’t exceed a certain percentage (usually 80%) of your vehicle’s rating, just to be safe. Okay, say you’ve found your truck’s tow rating and you can easily find 5th wheel trailers within these towing weights. You’re good to go, right? Not so fast. You now need to calculate your payload to ensure you haven’t exceeded your truck’s limits. Payload refers to the amount of weight your truck can actually hold, including weight both inside the truck and on the hitch. That’s right, your 5th wheel king pin weight must be calculated into your payload. Add to that everything loaded into your truck: passengers, cargo, dogs, car seats, etc, and the weight can quickly climb above the limits of many half-ton trucks. Let’s look at an example. Say you are the proud owner of a 2019 Toyota Tundra in the double cab configuration with the 6.5-ft bed and 5.7-liter V8. Looking at the door jamb, it says your truck can town an impressive 10,100 lbs. The payload, meanwhile, is rated at 1,660 lbs. Now, say you take your 10,100-lb tow rating and buy the “half-ton towable” Highland Ridge LF297RLS 5th Wheel trailer. You’ll first notice that the trailer weighs in at 7,485 lbs; well under your towing limits, leaving plenty of room for water and cargo. Buying this trailer could be a big mistake, however, if you plan on bringing along anyone else in the truck. Looking at the specs, that particular trailer has a hitch weight of 1,420 lbs. You must subtract that amount from your total payload to find out how much you have leftover. So, taking 1,420 out of 1,660 leaves you a measly 240 lbs for everything else you want to bring along inside the truck. And yes, that includes your bodyweight and the weight of everyone and everything else you put in the truck and its bed. Even a very small family can easily exceed that limit. Let’s be honest, plenty of people can alone exceed that limit! So, perhaps just as important as your towing limit is your payload capacity. It is vital that you take into account both figures when deciding on a trailer. And just because I picked an example that pushes the limits doesn’t mean you can’t find 5th wheels that work perfectly well with half-ton trucks – you just have to check the limits before you buy. Can You Pull a 5th Wheel with a 5.5 Foot Box? While short-bed pickups are more limited in what type of 5th wheel they can pull, it is still possible to find an arrangement that works. Special considerations must be made, however, to ensure that the front of the trailer can pivot without making contact with the cab of the truck. 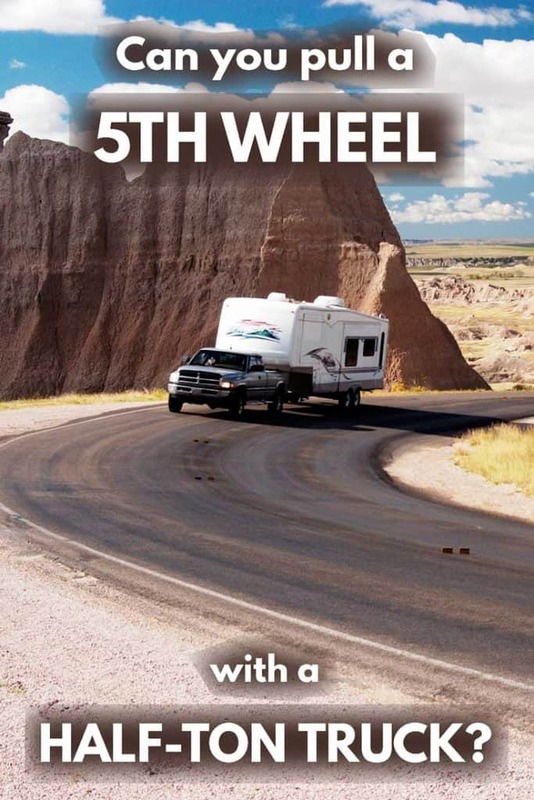 Look for 5th wheels with a smaller front cap area in order to reduce the chances that your trailer will come too close to your truck on corners. Often, when pulling a 5th wheel with a half-ton truck, you will need to use a special type of hitch, called a slider. As the name implies, these handy devices allow your trailer king pin to slide backward, away from your truck’s cab, when making turns. I hope this article has given you hope that you will be able to find a 5th wheel for your half-ton. Of course, it is always important to stay under not only your towing but also your payload limits. 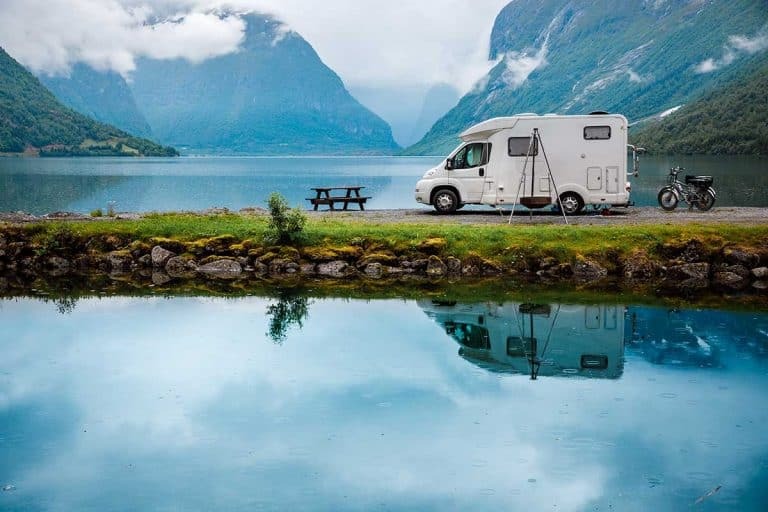 Once you find an arrangement that works, though, you should be able to enjoy the stability when towing as well as the extra space that comes standard with all 5th wheel trailers. Next PostCan You Plow with a Ford F150?